Redefining creativity, giving agency leaders more financial freedom, and making client services more consultant-like are on the WPP chief's agenda. Read answered questions posed by Kathleen Saxton, founder of The Lighthouse Company, including whether WPP had enough creative people in light of his promise to spend an extra £15 million (nearly $20 million) in that area. "The definition of creative is much broader than it used to be," Read explained. "I think we can be too New York-centric, in a U.S. sense, or too British-centric, in a British sense. A lot of the way the world is changing comes from Miami or L.A. or Portland or Korea or esports. We live in a very different world from the old advertising creative thing. "That’s what I mean by creative… is £15 million enough? It’s a start, but it’s just a reflection of what we spend overall on creative to have the very best creative talent inside the group," he added. Citing an example of how he likes to discuss ideas with clients, Read said, "I was speaking to a client on Friday and had a conversation about budgeting and control, which lots of people who work at WPP will know is a big issue, and how we can create a more empowered financial culture within the organization where we really trust people to run the business and financially it’s less controlling." "Today, most big companies are struggling to keep up with the pace at which consumers are adopting technologies," he explained. "That sort of disruption has impacted us and our clients, so what we’re really trying to do is to get ahead of that over the next two or three years." 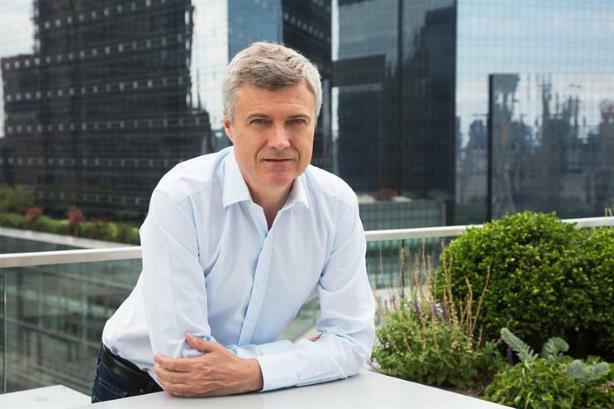 The second area is about finding account people to deliver on the offer that he set out last year as the future focus of WPP: communications, experience, commerce, and technology. "Someone who is running a client [for us] should be able to talk about those four things," he said. "The reality is that there aren’t a lot of people who can talk about those four things." "What we need to do is, one, look for people that can, but secondly train and equip the client leads of the future… to have a less sales-y and more consultant-like approach to working with clients," Read added. Earlier that day, the stage was occupied by Read’s peer Michael Roth, chief executive of Interpublic Group, who was speaking on the subject of CSR alongside his client, Bank of America vice chairman Anne Finucane. Roth said that "consumers now, and investors, are looking for companies that have values and stand for something in the marketplace." "The truth is, how do you distinguish a brand in today’s environment, given the ecommerce that’s out there, if you don’t have values and develop a relationship with the consumer?," he asked. "Purpose-driven advertising is a very important component of brand-building, aside from doing good."